A little gab about the bread…. As descendants of Irish immigrants, we will be the first to tell you that the Irish were not known for flare in their cooking(although that has changed dramatically for the better). Sadly the majority of the Irish population was poor, and families often didn’t even own their own land. This led them to having to relying on many more meager foods, the most famous of which was the potato. 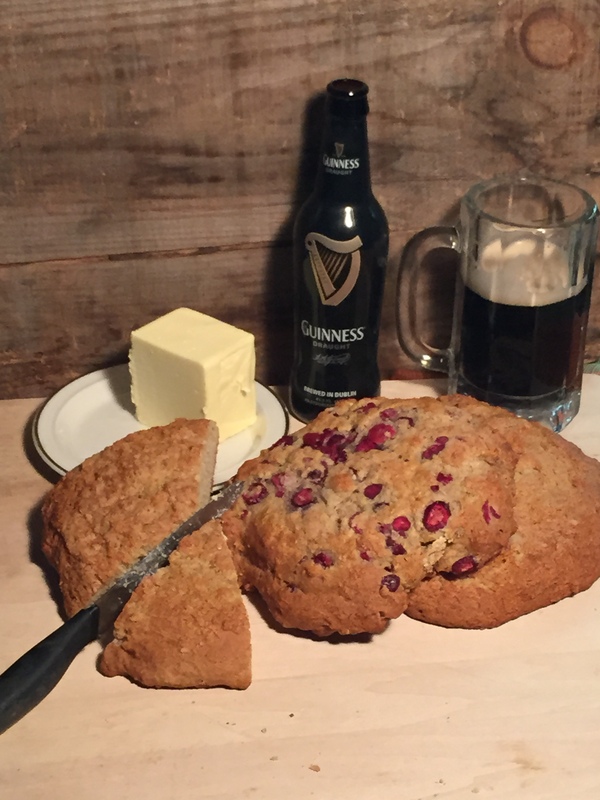 Probably second in fame to the sacred spud was the confection known as Irish Soda Bread…or Brown Bread. This staple of Irish dinners was easier to make than yeast breads, and very nutritious when combined with Irish butter, and foods like stews. If a family could get their hands on some wheat flour, baking soda and a little buttermilk, they pretty much had the makings of a hearty loaf of bread. The flour used back in the day was usually soft winter wheat and generally was imported from the states. This flour is similar to St. Vincent flour that we use today in our Monastery and St. Benedict breads. It gives the bread an earthy flavor and a more crumbly texture rather than chewy. So, back to the Irish staple… The family cook…usually mom… would combine the ingredients by hand kneading the flour, salt, and baking soda together with a small amount of buttermilk from the family cow. The kneaded dough was then placed in a metal skillet type pan or a Dutch oven type pot with a metal lid. 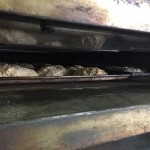 The bread was baked in this way until golden brown and often served with another famed Irish food, butter. If the family were fortunate enough to have meat around they may have enjoyed the bread with a stew. 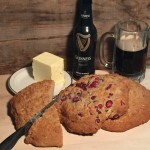 Often, however around the potato famine days, soda bread was a meal in itself. Our version is made almost as simply. 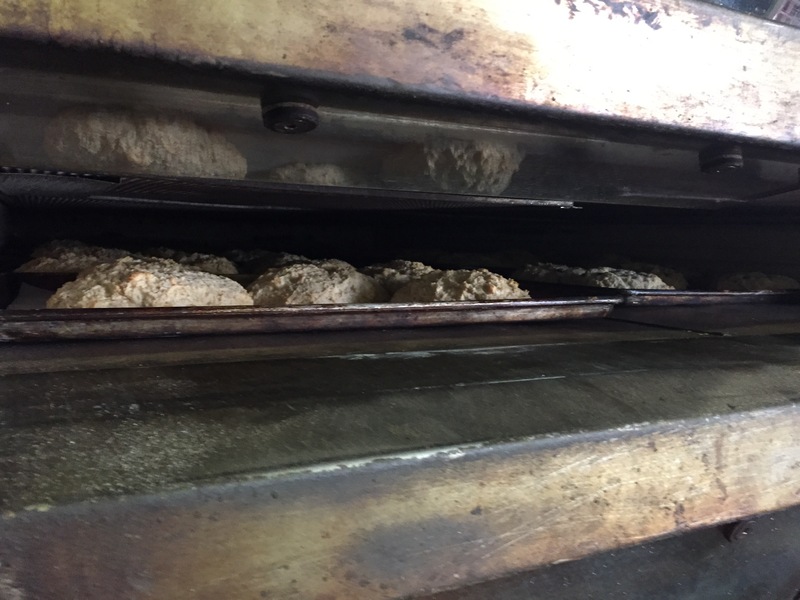 We use soft wheat flour from St. Vincent Gristmill in Latrobe, PA, buttermilk, salt, and baking soda. Today, we have been blessed with the luxury of things like honey, brown sugar, and baking powder. The powder adds a little extra push for rising by combining an acid with bicarbonate. Brown sugar and honey sweeten the dough just slightly to make it more palatable to our spoiled modern taste buds. Add a little butter, or dip in a hearty stew, and sip on a Guinness and you’ll think you’re back on the Emerald Isle again! ‹ NEW! Boxed Beef 100lbs (quarter side) of our Black Angus Grass fed beef only $5.50/#! !